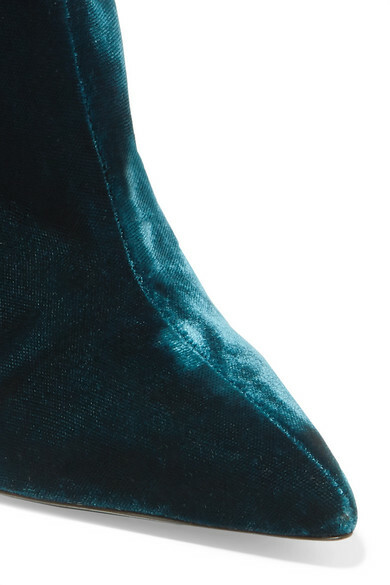 Unravel Project’s ankle boots are set on the label’s signature broken heel that looks as though it's been snapped away from the sole. 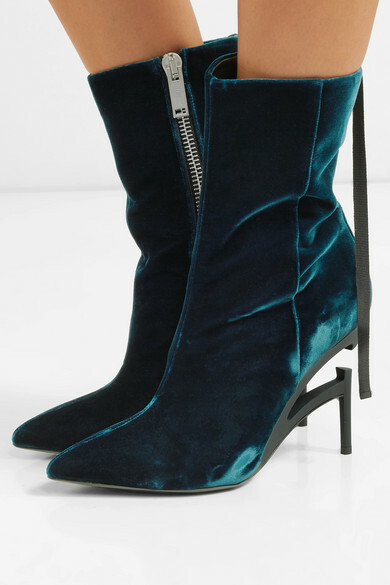 Made in Italy from plush velvet, the jewel-toned petrol-blue hue is just as versatile as black and also one of Creative Director Ben Taverniti’s favorite colors this season. 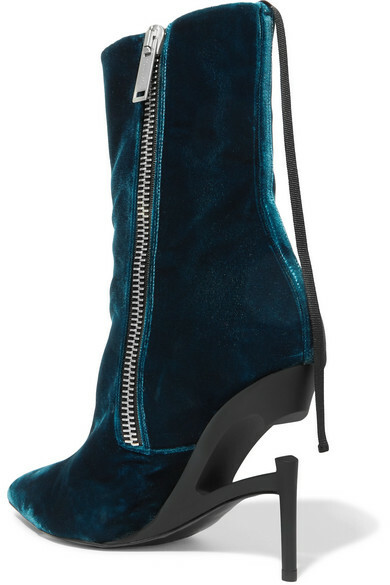 Wear them with a biker jacket and destroyed jeans. 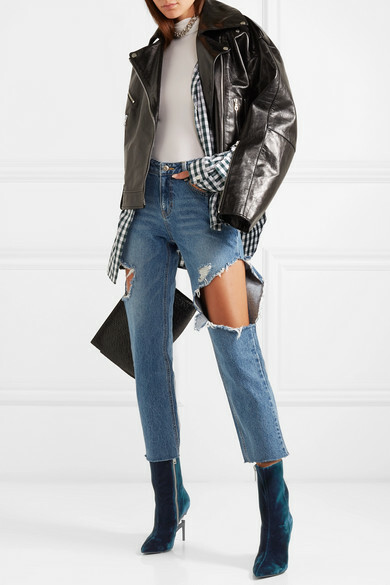 Shown here with: Rokh Biker jacket, Monse Shirt, SJYP Jeans, Wolford Bodysuit, Isabel Marant Choker.